A quick internet search will take you to the hilarious “farting scene” in Rocket Man. Two astronauts in space suits are connected by a hose. One astronaut’s space suit balloons up with gas pressure after the sound of a fart. A gas bubble slowly moves along the hose to the other astronaut who gasps and gags from the smell. The first astronaut says “it wasn’t me”. It’s about as ridiculous as your four year old, confronted by a crayon drawing on the wall: “it wasn’t me”. Oh, ok then. I suppose it was Daddy who did that. Avoiding responsibility for our actions seems to be a natural human instinct. It is the most common challenge I’ve faced as an employer. I so highly value those who buck that natural instinct and accept responsibility without hesitation and defensiveness. How else do we learn, if not from our mistakes? A particularly heinous example of responsibility avoidance is the “hit and run”. It happens more often than you might think. Offenders have a split second choice to make: face the consequences or take off. If driving impaired or without insurance, or a significant increase in your insurance rates would result, the chance of avoiding consequences might well outweigh the risk of an added charge for leaving the scene of a crash. This is one area of the law where I’d like to see much stiffer penalties. I want that split second cost/benefit analysis to weigh heavily in favour of sticking around. Sticking around can make a life or death difference to a critically injured victim. It can also make a significant difference to a victim’s ability to recover fair, financial compensation for injuries and losses. 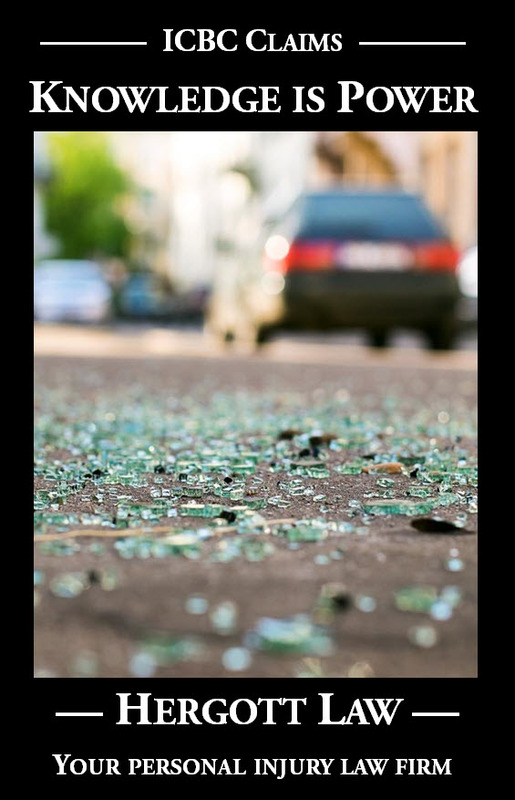 When the negligent driver sticks around, compensation for the injured victim’s losses is paid by the offending driver’s liability insurance company. What about in a hit and run scenario. We are fortunate in British Columbia to have a protection that kicks in to provide compensation in hit and run situations. A victim must follow certain steps in order to qualify for that protection, though. These are steps that the insurance company is under no obligation to tell you about. 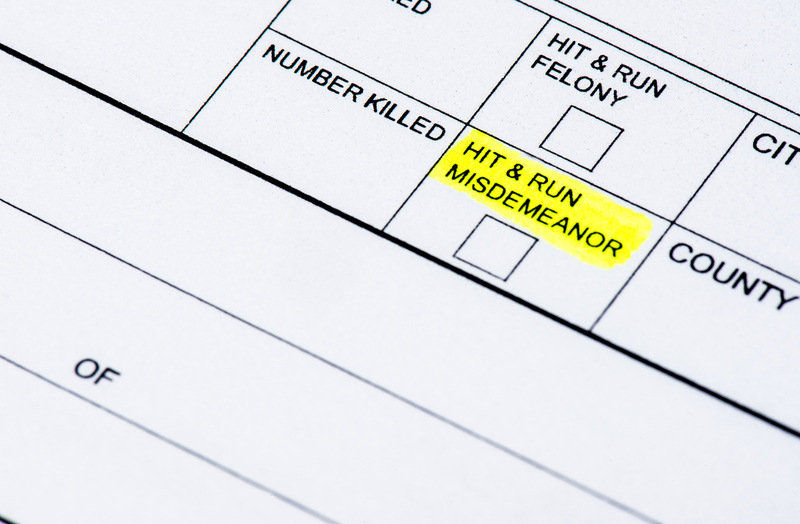 The part of the law that hit and run victims are often in the dark about is the legal onus to take “all reasonable efforts” to ascertain the identity of the unknown driver and owner of the offending vehicle. Most people think it’s enough to report the incident to the police and ICBC, giving whatever information you have to assist them in their investigation. It’s not enough. Innocent victims have had their claims dismissed for not doing more. Post a notice in the newspaper or online news site, use social media, post notices on power poles at the scene. Ask witnesses to the crash itself, or anyone seeing a damaged vehicle matching your description, to come forward. Ask auto body shops to be on the lookout. The odds of these efforts actually leading to the identification of the offending driver are slim to none, but that’s not the point. The point is satisfying your legal obligation, because failure to do so could result in your entitlement to fair compensation disappearing. Do you know of someone who has been the victim of a hit and run? Please enlighten them. It might not be too late for them to take these steps if they haven’t been taken already. I found your post on a long overdue search of hit & run. No injuries fortunately. however this hit & run by a Richmond taxi has gone untended by ICBC since my event on Sept 30 2017. could you point me in a good direction as I/we were not injured ? Yes, fortunate that there were no injuries! I am assuming that you do not have collision insurance. I have no idea if you had $250.00 damage to your vehicle or $25,000.00, which would definitely inform what steps you might choose to take. I recommend immediately push, push, pushing the cab company to assist in identifying the offending driver. I don’t know the technology they’re working with, but would assume that they should be able to narrow down the possible offenders based on the date/time/location of the collision. Keep a record of all communications with them, including surreptitiously audio recording (which is perfectly legal). If the cab company is not forthcoming then bring a Small Claims lawsuit against “John Doe” the unknown driver and the cab company as the owner / employer / contractor (as applicable), and demand disclosure at the Settlement Conference. It MIGHT be necessary to proceed in Supreme Court (expensive as HECK because of need for lawyer) in order to push disclosure / conduct an Examination for Discovery. I BELIEVE that a Small Claims lawsuit can be transferred to Supreme Court part way through, but I’m not an expert in that. 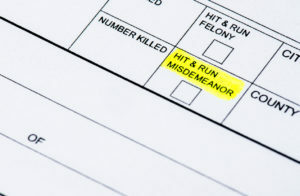 If you are unable to identify the driver/owner of the offending vehicle, you will have no recourse other than through the “hit and run” protections arising from section 24 of the Insurance (Vehicle) Act: http://www.bclaws.ca/civix/document/id/complete/statreg/96231_01#section24. There are hoops to jump through to gain access to those rights, though, which includes giving notice to ICBC and also requires that “all reasonable efforts have been made…to ascertain the identity of the unknown owner and driver or unknown driver, as the case may be…”. I’ve written several columns on the issue of “all reasonable efforts” which you can find by using “unidentified” as a search word when searching my columns. It’s really quite important that you do whatever you can think of to try to identify the offending driver, regardless of how little a chance you think it has of success, and that you record / journal those efforts. I act only for injured victims pursuing fair compensation for injuries and losses arising from the negligence of others. I would not take on your property damage claim. Please ensure you seek direct legal advice about your issue (beyond the information I’m providing in this posting) which can be very inexpensively obtained through the CBA Lawyer Referral Service: https://www.cbabc.org/For-the-Public/Lawyer-Referral-Service.